Cyber Society of India (CySI), a non-profit organisation formed to create cyber law/security awareness organised an one-day workshop on cyber crimes and cyber security at University of Madras premises, Chennai. Mr N S Vishwanathan, Regional Director, Reserve Bank of India, Chennai inaugurated the workshop and also explained in brief the guidelines given by 'Gopalakrishna Commitee Report' to the banks on information security. 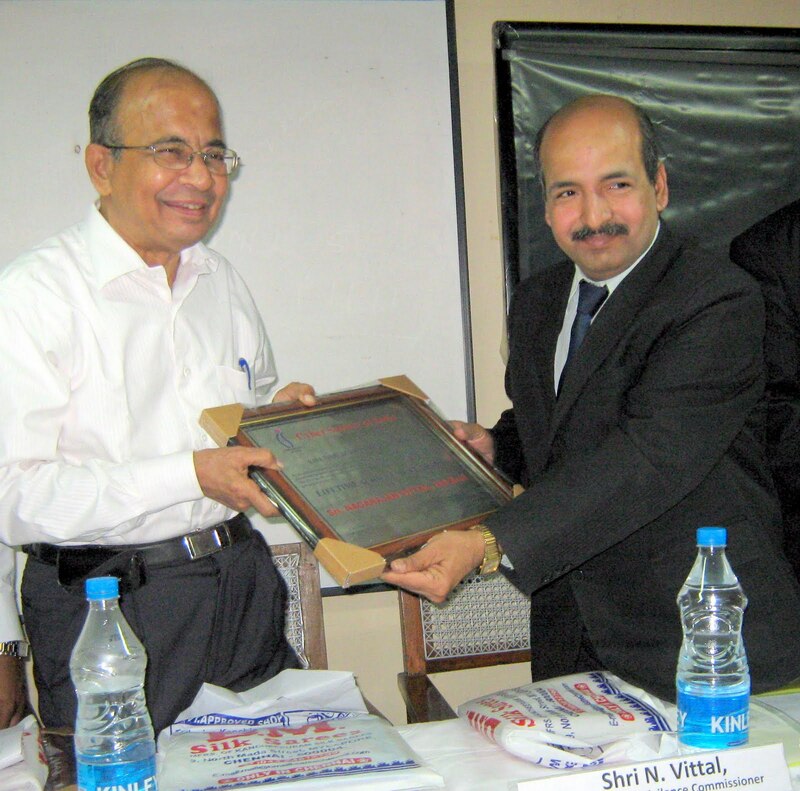 Mr N Vittal, Former Central Vigilance Commissioner of India was honoured with 'Life Time Achievement Award'. Mr P W C Davidar IAS, who was earlier the IT Secretary of Government of Tamilnadu and the first Adjudicator of Tamilnadu under Information Technology Act was also conferred with 'CySI Fellowship'. Many experts from Reserve Bank of India, commercial banks, IT industry shared their views in the workshop on the various challenges faced by the consumers in the electronic banking and the urgent need to step up the information security. Immediately after the inauguration, we interviewed Mr N S Vishwanathan, Regional Director, Reserve Bank of India in the corridors of the University on the 'Gopalakrishna Committee Report'. For the information of readers, Reserve Bank of India set up a working group in April 2010 under the chairmanship of Mr G Gopalakrishna, presently Executive Director of Reserve Bank of India to look into the various aspects of Information security and suggest guidelines to all the banks in India. Accordingly, the Committee submitted its report to RBI, who accepted the report. The Committee report was circulated to all the banks on 29th April 2011 for impelmentation. The report may be downloaded by 'right clicking this link and saving to your desktop'. This 174 page report gives more responsibility on the banks to implement information security systems and also to educate the customers on ebanking. Please listen to the interview of Mr N S Vishwanathan, who explains the various aspects of this report in brief (5 minutes). Please watch the photo stream of the workshop.